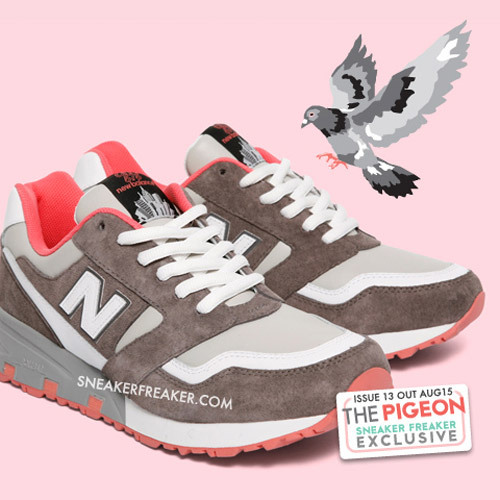 The UK/US brand New Balance seems to really be pushing for the sneakerhead market of late. Once limited to euro only releases for their more fashion forward releases, the running brand is coming out with previews of a pack every week it seems. Here we look at a fall DROP of the 577 model called the Farmer’s Market Pack. The 577 has often been overshadowed by the popularity of the 574 model but these definitely do not disappoint. Featuring earthy tones and premium materials they are perfect for fall and the change of weather. Anyone else counting down the days to fall for these already? What can I say, I bought into the hype a little. I have never been a giant fan of the XIs as my Jordan love mostly stops at VIIIs but this is just an iconic shoe. The first of the XIs that Mike wore these are neck snappers. Featuring a primarily white make up with the toe wrapped in black patent these sneakers literally caused riots. Moms were leaving babies in their cars, people were pepper spraying each other, and mall doors were broken down. When a sneaker release makes the 6 o’clock news on every major news network they have to be on your best of list! New Jersey’s Packer Shoes has always had a tendency to do collaborations a little different than others and this shoe is no exception. This one is actually part of a 4 shoe pack of Reebok Court Victory Pumps called the Grand Slam pack. Each shoe in the pack features some sort of ode to the signature of the tennis major tournaments. For the French Open version they just took it to the extreme. The shoe features a fairly typical 90s makeup of the Court Victory with one not so subtle difference……clay splatter all over. IMO this was just genius in design and a perfect tribute to the clay courts of the French Open. I don’t have a pair yet but I am not sure how much longer that will last. Iconic. The Jordan III is simply an historical shoe and this color way was the first to release back in 1988 when Jordan and Tinker Hatfield changed the world forever. Tumbled leather, elephant print, and the first Jumpman logo this one had it all. Jordan also wore this shoe for his iconic free throw line slam dunk contest dunk that defined a generation. This is a classic that would sell well if they released it every year and while you may see another iteration of it on my list, it had to be here. If Mike calls it one of his all time favorites who am I to argue? Lucky #7 on the list is the Nike Air Trainer SC II in the 2 original color ways. These are another release that hasn’t been seen in forever….21 years to be exact. The trainer series has always been a big seller for Nike since the days of Bo Jackson turning heads in multiple sports. We saw a few other DROPs of this shoe in new colors in 2011 but the OG heads wanted the, well, OGs. DROPPING in both the citron and infrared color palettes these were a big pleaser to a lot of sneakerheads who remember the days of Bo Knows or even Mars Blackmon but surprisingly weren’t as big of a hit with the younger heads. Sad in theory but great if you missed them originally both of these colors are still available in a full size run on nike store at a significant discount. If you were doing a best of list of sneaker collaborators Ronnie Fieg would be at the top of a lot of people’s lists and this shoe definitely has something to do with it. Featuring absolutely buttery leather and smooth suede this shoe is a site. Teased over and over again the hype was strong when Ronnie DROPPED this shoe back in November and I was lucky enough to score a pair. While not as much of a contrast as the Salmon Toes seen later on the list these still have that Ronnie “splash” as he likes to say. The bright blue sole really stands out against the somewhat muted upper and depending on your lace choice can be a bright or subtle neck breaker around the world. Bringing in the midpoint on the list is actually a pack of 2 shoes from New Balance. The American Tall Tales Pack of M574s paid tribute to folk legend in America by way of Paul Bunyan and his faithful companion Babe the Blue Ox. The former featured a brown and creme makeup of smooth suede with a gum outsole that really makes them shine. The kicker on this first shoe was the red and black plaid inner liner reminiscent of a lumberjack flannel like Paul Bunyan wore. The second shoe of the pack features an all over suede in several shades of blue for obvious reasons. These made the list for style but they also are the only shoe on this list that was made in the USA. I’d like to see more brands bring some manufacturing back home since most of them are designed here. There were a ton of great Jordan brand retros in 2011 and more will be featured on this list but I had to give top billing to the Retro VII Bordeaux. This colorway just screams late 80s to early 90s and this year was the first retro since the original DROP in 1991. These shoes were on MJs feat when he was featured in another famous MJs video for “JAM” and feature all over suede with a crazy color combo not previously seen on basketball shoes at the time. The Bordeaux was an interesting release as a lot of the kiddos who weren’t born when the originals came out passed on them. To those that are in the know and actually grew up watching the GOAT play though, these were a no brainer. Boston’s CNCPTS takes the second spot on my list with a shoe that topped many people’s lists for 2011. No stranger to sneaker design with the Lobster SB runs of the past CNCPTS really did it right with the nautical theme on this New Balance 999. There is a reason every brand you can think of has done something nautical themed, it works. Featuring a red, white, blue, and tan palette, flag logos, and a custom liner these dropped back in April to critical acclaim. Even John Mayer was seen rocking a pair. I know I was on the phone all day trying to cop my pair with no luck. The 999 has seen other great collabs in the past and I am sure 2012 will bring us another! From the first time I saw a tweeted pic of these shoes I was in love. Something about the contrast of the salmon and the navy just POPS. Ronnie had quite the year in sneaker design as well as opening his Kith retail spots so it’s only appropriate that he topped this list. Premium materials and straight forward designs are his signatures and I am a fan of most of it. Props to Ronnie for topping many lists this year and I can’t wait to see what’s DROPPING in 2012! ITS BEEN A GREAT YEAR IN SNEAKERS. CAN’T WAIT FOR 2012. STAY TUNED TO DROPDSM.TUMBLR.COM TO FIND OUT WHAT’S NEXT!